"When the fight was going on, did you see anybody get out of their seats and go for coffee?" Nothing like a hockey fight, right? An official trailer has debuted for a sports documentary titled Tough Guy: The Bob Probert Story, about a legendary NHL hockey player who loved to start fights on the ice. Naturally this film is debuting in Canada before it arrives in the US sometime next year, and it seems to be aimed mostly towards hockey fans but might be compelling for a wider sports audience as well. 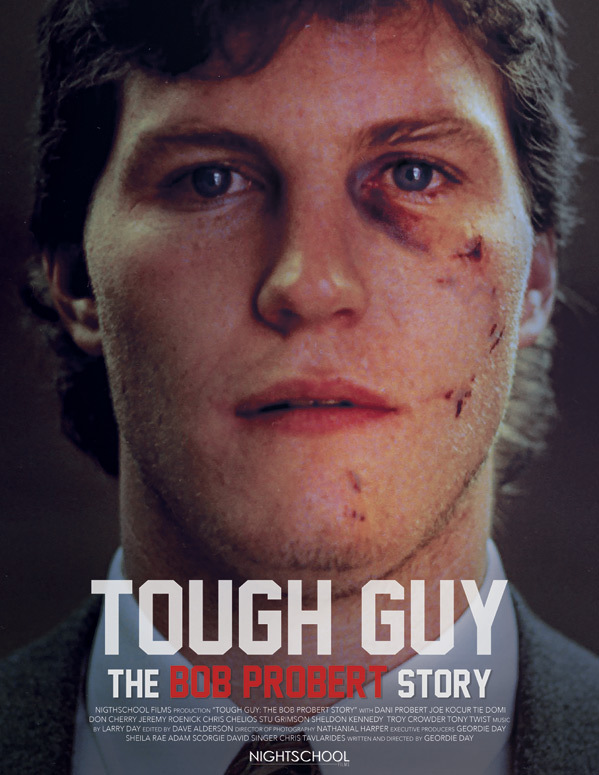 Tough Guy is an intimate portrait of legendary NHL "tough guy" player Bob Probert, one half of the "Bruise Brothers", told through exclusive interviews with his family, friends, teammates and rivals. The full-length documentary features game footage, news reports, and never-before-seen home movies from Probert's life. Definitely worth a look. Archival footage and personal testimonials present an intimate portrait of the life and career of legendary NHL tough guy Bob Probert. From Deadline: "NHL star Bob Probert, one half of the 'Bruise Brothers,' was widely considered one of the toughest and most violent ice hockey players of all time. His role as the hard-hitting enforcer of the Detroit Red Wings and Chicago Blackhawks, as well as his hard-living ways and death at age 45." Tough Guy: The Bob Probert Story is directed by doc filmmaker Geordie Day, who previously co-directed Goalie, a film on former NHL goaltender Clint Malarchuk; and also produced Charles Manson: Final Words. The film will first premiere in Canada on Superchannel in December, and will arrive in the US sometime early 2019. Stay tuned for more updates. First impression? Any fans of Bob Probert out there?